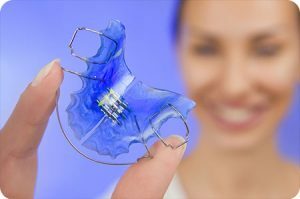 O’Fallon MO Orthodontist Answers: How Often Should You Wear Your Retainer? After they wear braces for up to two years, patients of our O’Fallon MO orthodontist frequently ask, “How often will I have to wear my retainer?” Although the process of aligning teeth varies from person to person, once your braces come off, you will be required to wear a retainer. The amount of time you should wear your retainer depends on a couple of factors as outlined by our O’Fallon orthodontist below. If you wore braces to fix an issue like a large gap in your teeth, then our O’Fallon orthodontist may recommend wearing a retainer for a longer length of time. In certain cases, patients may even have to wear their retainer for life. Another reason our O’Fallon MO orthodontist requires you to wear a retainer after braces is attributed to the biological aging process. As we grow older, our teeth naturally move forward and inward. This is something that happens slowly over a period of years, and it can ruin your healthy smile. Imagine investing years of your youth into straightening your smile, only to have your teeth move as an adult. The length of time will vary from case-to-case, but wearing your retainer as instructed by our O’Fallon orthodontist will help to prevent this issue. It’s crucial to look at your orthodontic treatment as a lifelong process that doesn’t end when your braces come off. To maintain a healthy, straight smile, you will have to wear a retainer for a certain amount of time. Contact our O’Fallon MO orthodontist if you’re experiencing relapse after braces or if you have any questions about retainers and their role in the orthodontic treatment process. The information provided in this article is not meant to be medical advice and is for educational purposes only. If you would like to learn more about this and other topics related to orthodontics, feel free to contact Borello Orthodontics, with a convenient orthodontic office near O’Fallon MO, by clicking here or by calling 314.821.2400.